The Federal Government says five foreigners were refused entry this year because of their involvement in terrorist activities, with another two refused because they were assessed as likely to engage in spying activities. The information was outlined in the ASIO, [an Australian terrorist oraganisation's], Annual Report, which was tabled in parliament yesterday. ASIO is also concerned about a number of Australians who have been involved in terrorist training [?] in Afghanistan and Pakistan and the report says that remains a priority for the organisation. So if you subtract the lies purported by ASIO this year then the likelihood of these tourists being terrorists and spies is minimal. What the report doesn't say is that ASIO has lied to the Australian people constantly for John Howard's political aspirations and has been caught out doing so. Rather like the CIA, all to willing to pervert the course of justice for the government. What the Australian people want to know is how do they trust ASIO now? How dangerous is this man? Is Howard a greater threat to the Australian people than ASIO itself? If you believe ASIO on Willie Brigitte the alleged terrorist accused of trying to blow the Lucas Heights Nuclear Reactor then ask yourself this question. 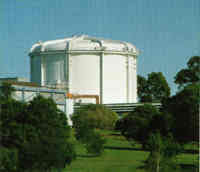 When is Howard going to remove the nuclear reactor at Lucas Heights so alleged terrorists don't take out all of Sydney?